Lal Tibba, nestled at the altitude of about 2,290 meters above the sea level is the highest peak of Mussoorie. The term ‘Lal Tibba’ literally means ‘the Red Hill’. 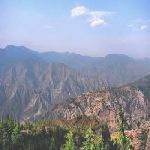 Situated in the region named Landour; the oldest inhabited area of Mussoorie, Lal Tibba offers dumbfounding spectacles of surrounding terrain. Apart from the encircling and meandering snow capped Himalayan mountain ranges, Lal Tibba also uncoils the far reaching vistas of Hindu pilgrim destinations including Badrinath, Kedarnath, and Banderpunch and other distant Himalayan ranges, especially the ‘Nanda Devi Peak’ through its powerful Japanese binoculars mounted here by the Municipal Corporation in the year 1967. These binoculars are installed at the top of a 20 meters high tower standing at the ridge of a deep valley. A panoramic uphill walk of about 5 kilometers from the Tourist Office Mussoorie will reach you to this stupendous and staggering apex. Some of the tourists also enjoy a horse ride to the top of Lal Tibba. 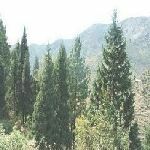 Lal Tibba is a home to the Indian Army camps as well as the broadcasting stations and towers of Air India and Doordarshan and an old light house. Other than that, Lal Tibba also accommodates a number of depots which gets the place another of its nickname, the ‘Depot Hill’. 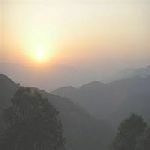 Lal Tibba is also famous for the magnetizing and beguiling views of sunset and sunrise it offers. 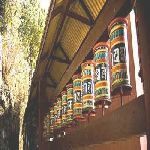 On the way to Lal Tibba you can also get a peep into the colonized facet of Mussoorie revealing through the innumerable old buildings and houses belonging to the British Era. It is not recommended to visit Lal Tibba during monsoon so as to avoid any kind of accidents or mishaps. Perched at the elevation of about 2122 meters, the Gun Hill is the second highest peak of Mussoorie and a foremost tourist destination of this hilly region. Chiefly acclaimed for its historical background dating back to the pre independence epoch, Gun Hill is the vertex from where cannon used to be fired every day at 12 noon for many years and people used to synchronize their watches with the timing of the cannon. This is how this hill positioned overlooking Banderpunch, Gangotri, Srikantha and Pithwara receives it name; the Gun Hill. 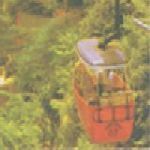 To reach this vantage point one can either opt for walking or prefer the more exciting, romantic and at the same time, easier option of ropeway. This 400 meters long ropeway ride operated from The Mall charges about 55 INR per head. From the top of the Gun Hill you can perceive the magnificent views of surrounding landscapes and other snow crowned Himalayan Ranges. A number of viewing points have been set up atop the Gun Hill from where tourists enjoy clarion views of Himalayan Ranges through telescopes. Numerous snack outlets as well as curio sellers stationed here add to the tourism appeal of the place. Moreover, you can also click yourself a picture wearing the traditional red velvet Kumaoni costume here. Gun Hill also harbors a water reservoir. Children’s Lodge is yet another Himalayan peak located at Mussoorie that is famous for the breathtaking vistas of encompassing Doon Valley and zillions of other Himalayan crests wearing the coat of glimmering snow it offers. The special attraction of Children’s Lodge is the very powerful telescope installed here that captures the clearer views of remote snow helmeted sierras. Children’s Lodge is situated about 34 kilometers from the state capital Dehradun. 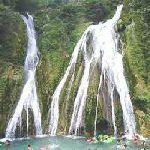 Kempty Falls located just 15 kilometers from Mussoorie on Mussoorie – Dehradun Road is a widely sought after and a must visit tourist attraction of this hill resort. Perched at the altitude of over 4500 feet, Kempty Falls is a 40 feet tall waterfall set up against the spectacular backdrop of abundant natural pulchritude. The alluring charm of this vicinity captivated the heart of a British official named John Mekinan who developed this place as a leading tourist destination in the year 1835. The name ‘Kempty’ finds it origin from the term ‘camp – tea’, the locus where British chiefs used to arrange tea parties during the British Era. 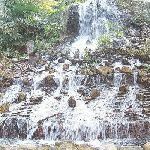 Kempty Falls is the largest of the five waterfalls around Mussoorie that drops down multiple rocky formations before ultimately entering the plains. Kempty Falls are specially reckoned for swimming, fishing and bathing, the latest being the most wonderful and rejuvenating experience. If you climb few steps down the flow of Kempty Falls, you will come across a beautiful pond embroidered with verdant greenery. The waters of Kempty Falls finally find way to Yamunotri. Kempty Water Falls are kept open for public visits for five months a year from March to July. A number of shops set up near the Kempty Falls provide you shorts and towels on rent. On the Mussoorie Kempty Road about 5 kilometers from Kempty Falls and nearly 10 kilometers from Mussoorie is positioned a lake named Lake Mist. A newly developed blooming picnic point that provides food as well as accommodation, Lake Mist is one of the most visited tourist destinations around Mussoorie. People enjoy boating in the serene waters of the lake fringed by pristine natural beauty. Created by the Kempty River which flows through it, Lake Mist is embellished with a number of tiny waterfalls that add to the glamour of the vicinity. 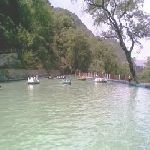 Mussoorie Lake, a yet another newly developed picnic locale stationed just 6 kilometers from the main market of Mussoorie is a favorite stopover on the Mussoorie Dehradun Road. Commended for its incessant rustic beauty, the Mussoorie Lake is also applauded for the enchanting contour of the nearby villages and the picturesque tableau of the Mussoorie Hill Resort as well as the Doon Valley it offers. Mussoorie Lake nested in the midst of boundless natural elegance is a man made lake developed and promoted by the Mussoorie Dehradun Development Authority. The recreational shops and refreshment joints set up alongside the lake add to the tourism quotient of the locus. 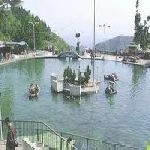 The peddle boats available here is an additional attraction of the Mussoorie Lake. Happy Valley is a vast stretch of land that ultimately leads to the geographical end of Mussoorie, i.e. the Cloud’s End. Happy Valley is the region where the Tibetan settlements of Mussoorie are mainly found. Presently, Happy Valley is inhabited by over 5000 Tibetans. A small Tibetan Temple constructed here by the Tibetan Refugees in the year 1960 happens to be the first Tibetan Temple ever built in India. Apart from a number of Tibetan places of worship, the far reaching Happy Valley also harbors the IAS Academy and the Municipal Gardens. This commodious valley abundant with multiple nooks of interest to be explored such as temples, gardens, estates and so on is a perfect terminus for a small hike. A stride from the Happy Valley past the Kala School and the Police Station will reach you to the famous Park Estate. If you don’t want to opt for the walking expedition, you can also traverse around the Happy Valley by taxis or bicycle rickshaws. Cloud’s End, as clearly indicated by the name is the extreme terrestrial end of the Mussoorie plateau. Positioned approximately 8 kilometers to the west of the Library Point, this landscape promises a vast span of thick deodar forest all around. Affluent with diverse flora and fauna and enjoying an extremely pleasant and affable climate, Cloud’s End is famous for the Bungalow constructed by a British Major in the year 1838. This Bungalow, now converted to a heritage hotel is one of the first four buildings set up in Mussoorie by British. 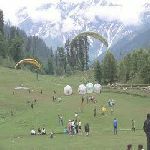 Thriving with innumerable domestic tourists, honeymooners and foreigners, Cloud’s End is particularly reckoned for the enticing vista of snow armored Himalayan Ranges and the spectacular view of the meandering Yamuna River it proposes. To reach the Cloud’s End you can take the Hathipaon Road from the famous Happy Valley. A further walk of two kilometers will reach you to another well known destination; the Benog Wildlife Sanctuary. 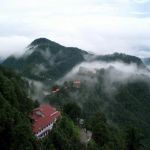 You can either choose to walk to the Cloud’s End from the Happy Valley or drive through the Deodar clad road winding round the dense woods of Mussoorie. Jwala Devi Temple, located about 9 kilometers to the west of Mussoorie is a celebrated Hindu shrine dedicated to the Goddess Jwala. Jwala Devi is an incarnation of Goddess Durga whose stone idol is placed in the sanctum of this temple perched atop the Benog Tibba at the altitude of over 2240 meters. Positioned quite close to the celebrated Benog Wildlife Sanctuary, the Jwala Devi Temple is enclosed by thick forests dotted with pine and deodar trees. The way that leads to the temple begins near the Cloud’s End and reaches to the culmination of Benog Tibba twining through the dense wildwoods of the Himalayas. The marvelous views of the Aglar River Valley, Doon Valley, Yamuna Valley, Yamuna Bridge, and the all embracing Himalayan Peaks and the entire Mussoorie Town can be perceived from here. Due to its unequalled natural beauty and its unique location, the Jwala Devi Temple beckons myriads of devotees as well as nature lovers and adventure enthusiasts. The enthralling pulchritude of the venue renders the beholders totally dumb founded. Do not forget to carry powerful binoculars along so as to enjoy the scenic beauty to its minute details. Nag Devta Temple dedicated to the Snake God is an ancient temple located on the Cart Mackenzie Road approximately 6 kilometers from the heart of Mussoorie. 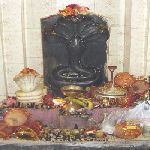 The major festival celebrated at this temple of Nag Devta is Nag Panchami when the shrine is ornately decorated and jillions of devotees alight here to pay homage at the feet of Lord Nag. From here one can also perceive the transcendental vistas of the charming Doon Valley and the entire Mussoorie Town. The road that reaches you to the Nag Devta Temple is a motorable one and so you can easily reach the temple by your vehicle. The Christ Church placed alongside a famous heritage hotel of Mussoorie was established here by British officials in the year 1836. 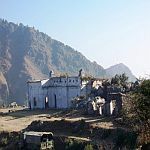 This ancient Christian place of worship is acknowledged to be one of the oldest existing churches situated in the lofty ranges of the Himalayas. Constructed in the gothic style of architecture, the windows of this church present the episodes of the life of Jesus Christ painted in the pre Raphaelite order of stain glass painting. The most noteworthy feature of this church is its high altar that depicts the chapter of Jesus’ crucifixion. The interior walls of the Christ Church are also ornamented with various pieces of art contributed by different artists. Another remarkable facet of the church is its hundred year old William Hill organ. 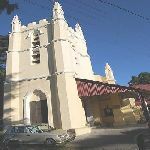 The Princess of Wales had paid a visit to this church in 1906 AD who had planted a Deodar Tree in the church courtyard. That tree still stands there singing the sagas of past hundred years. Every Sunday a prayer service is organized at the Christ Church at 11:30 am. Dhanaulti is a tiny little hamlet located about 28 kilometers from Mussoorie along the Tehri Road. Positioned to the east of Landour, this is a quiescent forest area which is converted into two Eco Parks by the State Government. Owing to its exuberant greenery and verdant surroundings studded with oak, deodar and conifer trees, Dhanaulti is regarded to be an ideal getaway for nature lovers as well as peace seekers. Dhanaulti also furnishes as one of the inaugurating points of trekking, forest trails and jungle expeditions into the Tehri Garhwal regions. 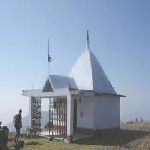 Moreover, the place also holds a remarkable religious significance due to the well known Surkanda Devi Temple perched at the altitude of about 10,000 feet. The temple premises are arrayed by a number of red, orange and yellow flags put up by the devotees. These flags are visible from distant places as well. Even though Dhanaulti is accessible by car, the temple of Goddess Surkanda is reachable only by foot. To reach Dhanaulti one can get a cab from the Library Point which would charge around 900 INR. Camel’s Back Road which commences from Kulri Bazar near Rink Road and terminates at Library Point is a 3 kilometers long stretch laid down in the vicinity of Mussoorie. The reason why this road is known by the title the ‘Camel’s Back Road’ is the natural rocky formation outcropped in the shape of a camel’s hump here. 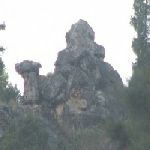 This bouldered arrangement resembling the camel’s back is visible even from the spot near the Mussoorie Public School. The Camel’s Back Road is a classic locale of the city which is flocked by the people for morning and evening walks. Viewing the shiny sun rays falling on the snow crowned mountain crests is a real flabbergasting experience. Apart from the refreshing exercise and rejuvenating walks, the Camel’s Back Road is also famous for the horse back rides enjoyed here. Apprehending the magnanimous spectacles of the sun setting behind the Himalayan Ranges is a banquet for the eyes. An added attraction of the Camel’s Back Road is a beautiful cemetery that is located halfway here. 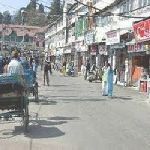 Sister Bazaar, also known as ‘Sister’s Bazaar’ contrary to its name is a residential area christened after the Nuns who served as the nurses in the British dormitory of Mussoorie. 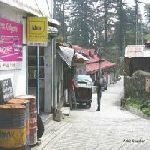 This residential colony skirted with pine, deodar and oak trees is a tranquil settlement of old cottages and sparse shops. Famous celebrities of India namely Late Dev Anand, Victor Banerjee, and Tom Alter etc own houses here. 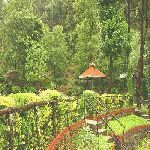 Municipal Gardens, located at the Happy Valley of Mussoorie is a favorite picnic spot much sought after both by natives as well as tourists. Originally known as ‘Company Bagh’, this is a well landscaped garden ornamented with an extensive verdant carpet of lush green lawns laid down in a proper symmetrical manner. Still retaining its colonial appeal, the Municipal Gardens also house a beautiful fountain and an artificial mini lake providing the paddle boat facility. The recent addition to the garden is a beautiful waterfall and a pretty nursery affluent with variety of plants. Festooned with an assortment of floral bushes and plenty of bamboo and deodar trees, Municipal Gardens prove to be a wonderful family retreat which entertains both young and old hearts equally. Municipal Gardens can be reached on foot from Waverly Convent Road and one can also take a pony ride or avail a cycle rickshaw to reach there. Municipal Garden is located just 2 kilometers from Waverly Convent Road. The entry fee to the garden is Rs 5 and you can also enjoy boating at the cost of Rs 20 per head. Jharipani Falls, one of the most enchanting waterfalls around Mussoorie is a must visit place that will undoubtedly win your heart. Located just 8.5 kilometers from Mussoorie on the Mussoorie Jharipani Road, this waterfall is an exquisite marvel of nature. Infused with immense charm and comeliness this locale marked with serene and placid ambience is sure to leave you totally mesmerized and spellbound. The road from Mussoorie to Jharipani is motorable, so you can reach up to Jharipani by bus or taxi. But from Jharipani to Jharipani Waterfalls, you will have to undertake a trek of about 1.5 kilometers. The famous boarding schools of Mussoorie including Oakgrove, Wynberg Allen, and St George etc are well positioned in the magnetic plateau of Jharipani. 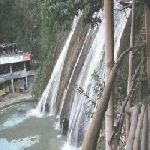 Bhatta Falls, located approximately 7 kilometers from Mussoorie on the Mussoorie Dehradun Road adjacent to a village named Bhatta is a beautiful waterfalls set up against the backdrop of aerial Himalayan precipice immersed with supreme natural beauty. You can easily reach the Bhatta Village from Mussoorie by bus or car and then cover the remaining distance of three kilometers on foot. The ponds created by the waters of Bhatta Falls provide a splendid opportunity for bathing, boating and other water sports. This is an ideal picnic destination and a perfect week end getaway near Mussoorie. ‘Park Estate’ is a place located near Hathipaon where we can find the remnants of the house and the laboratory of Sir George Everest who served as the Surveyor General of India between 1830 and 1843 and after whose name the highest peak of the world ‘Mount Everest’ is christened. Park Estate is stationed nearly 6 kilometers from the Gandhi Chowk of Library Bazaar and is accessible by a vehicle even though the road beyond Hathipaon is quite rough and broken. The captivating vista of Doon Valley, the Aglar River Valley and the snow enveloped peaks of the Himalayas can be perceived from here. The colonial bungalow located in the ‘Park Estate’ is a must visit place that will get you a peep into antiquity. The still intact wooden beams and the undamaged fireplaces depict the architecture and the lifestyle of the bygone era. A refreshing walk through the dandy woods of Hathipaon is a not to miss divine experience. And while navigating in this region you might as well spot some Himalayan Wildlife. Van Chetna Kendra nestled about 3 kilometers from Mussoorie on the Tehri Bypass Road is a popular picnic spot canopied with thick pine woods and various multicolored plants and shrubs. To reach the Van Chetna Kendra one can easily avail a vehicle or even cover the small distance of three kilometers by foot. This place is also renowned for its exotic wildlife including Himalayan Peacock, Ghurara and Kankar. The Mall is the chief promenade of the city Mussoorie lying east – west which starts from the Picture Palace and ends at the Library. During the period of British Colonization various public places at the Mall used to bear the signs saying ‘Indians and Dogs not allowed’. The Mall comprises the commercial heart or the pivot of all activities of this hill resort. If you take a stroll along the Mall, you will get the glimpses of the colonial era of India reflected through the benches, lampposts, churches and so on lined up alongside the promenade. As the Mall is the geographical center of the city, you will have to pass from here for reaching any destination in Mussoorie. The Mall is flanked by 80s style video game parlors, Methodist Churches, Skating Rings and so on. The Skating Rings comprise the main attraction of the Mall that beckons both kids and adults alike.